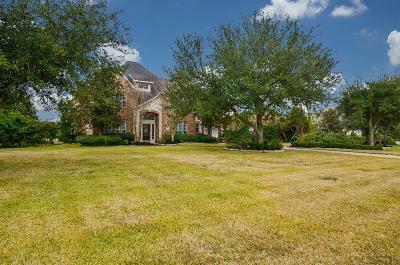 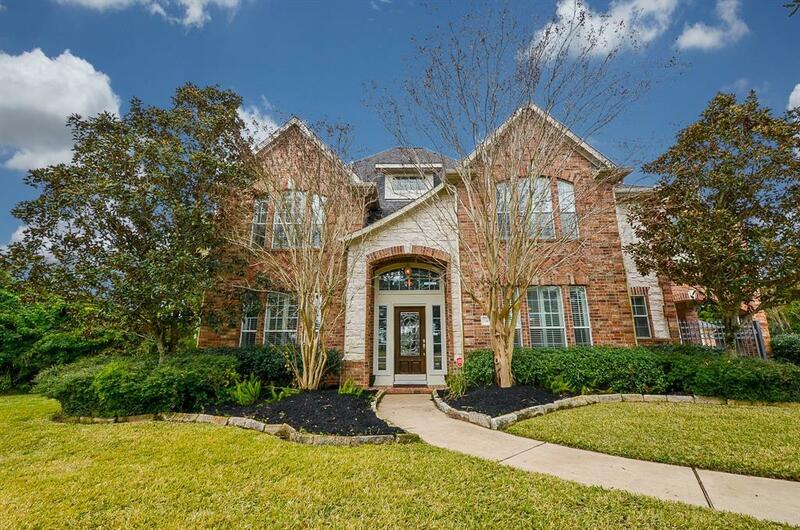 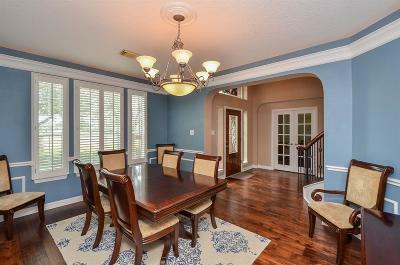 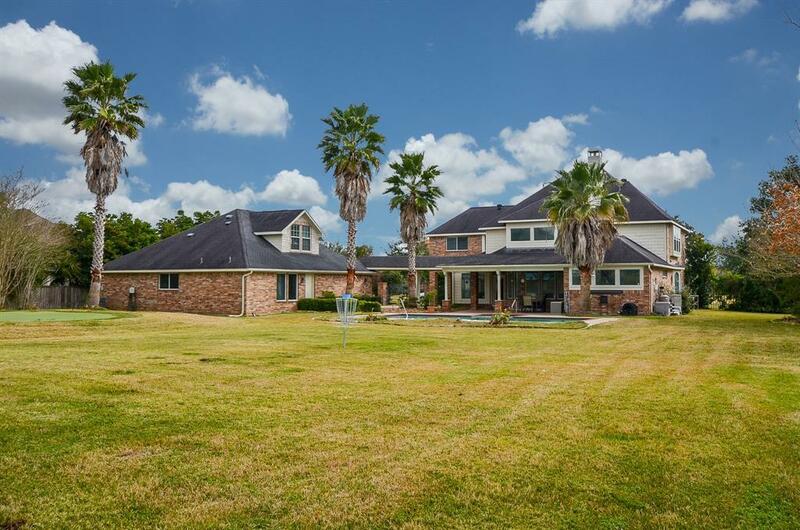 Remarkable 5/6 Bedrooms,4.5 baths,3car detached garage w/garage apartment & full work shop located in gated community on 1 acre lot. 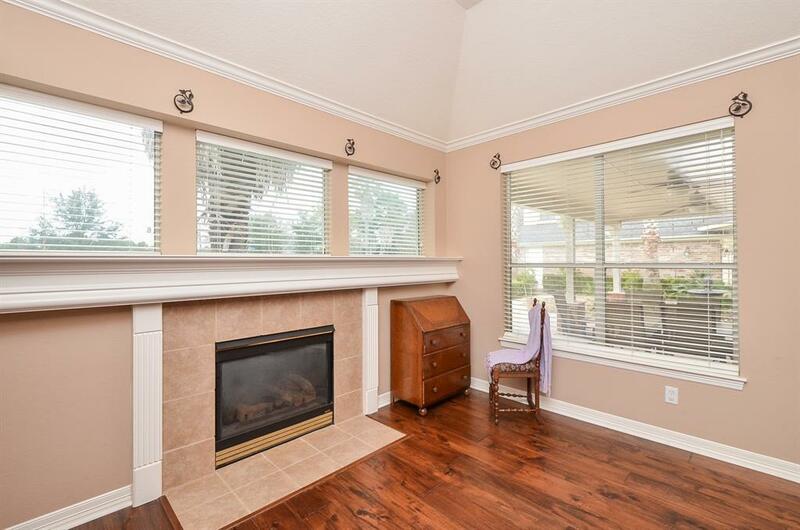 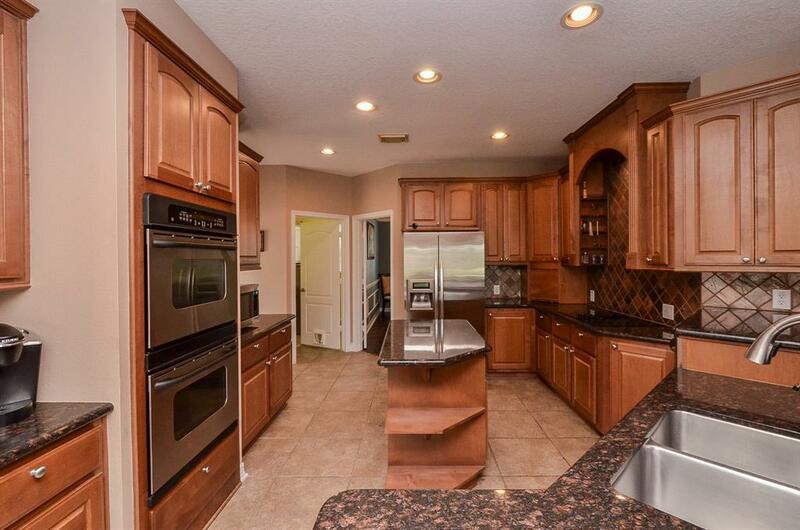 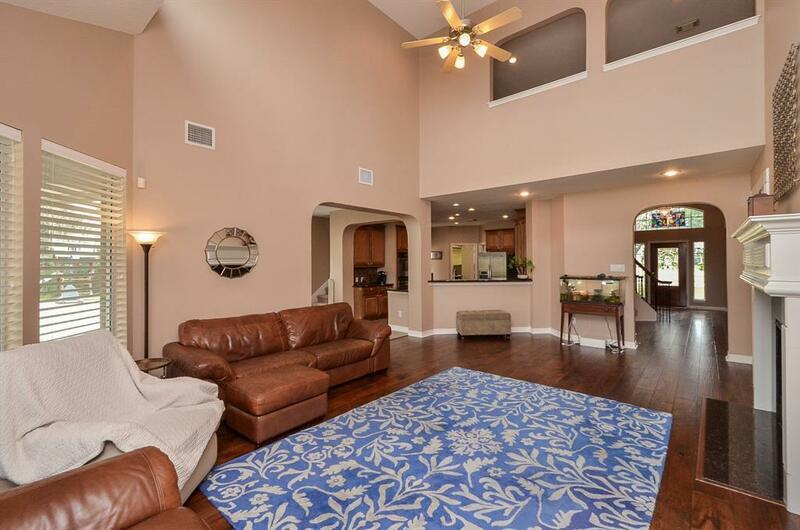 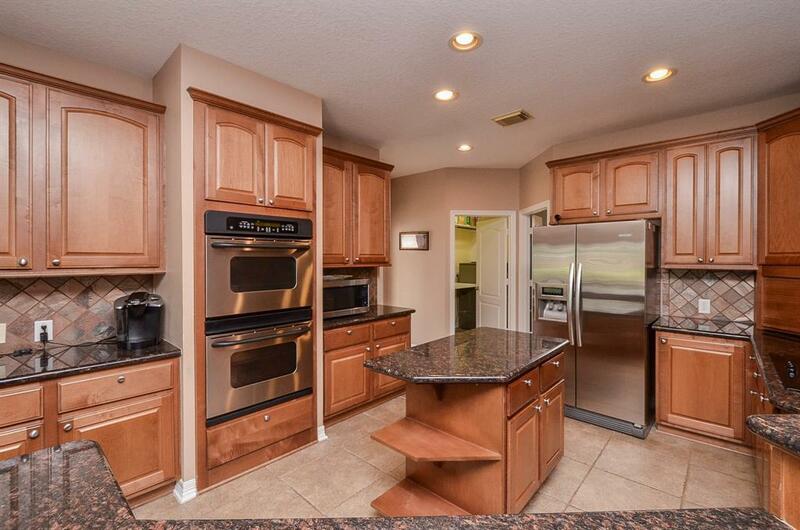 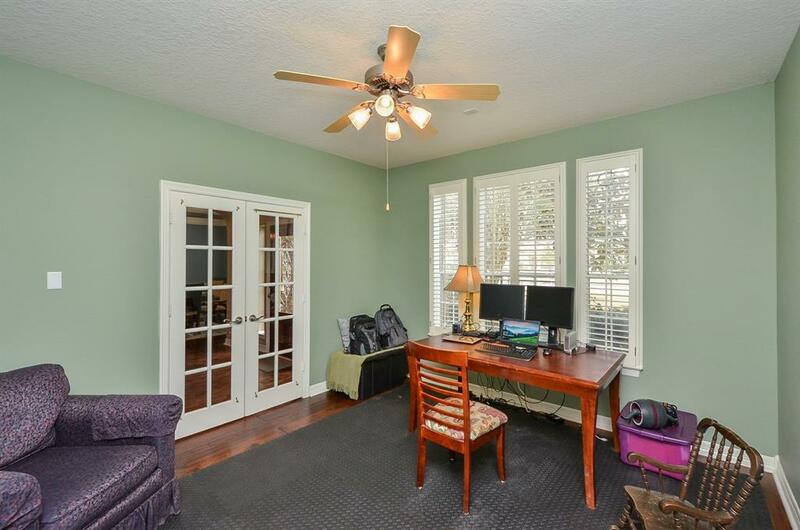 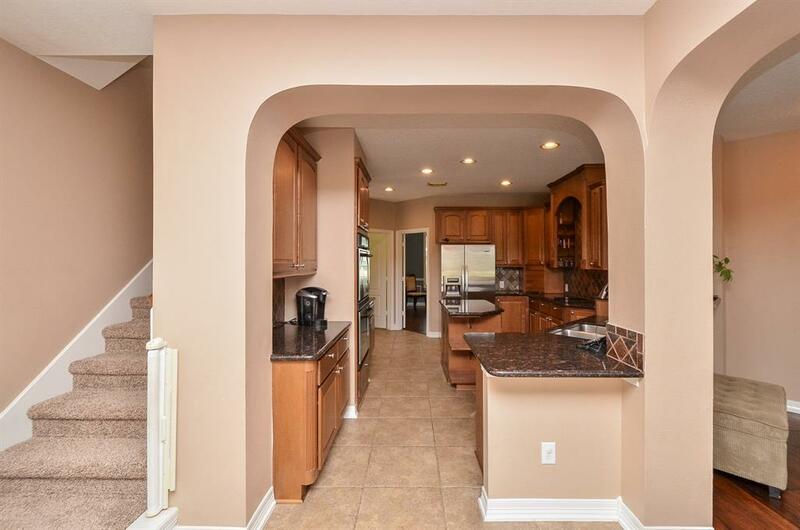 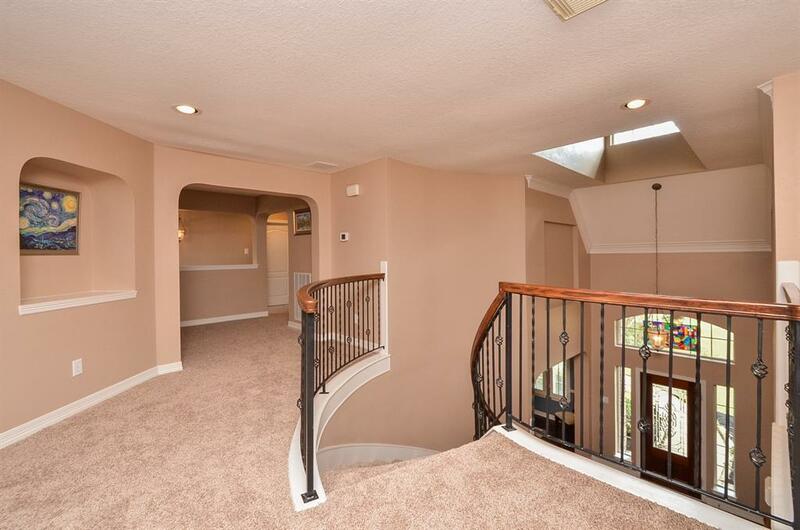 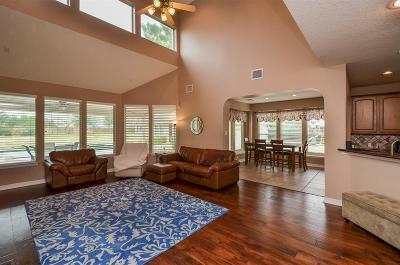 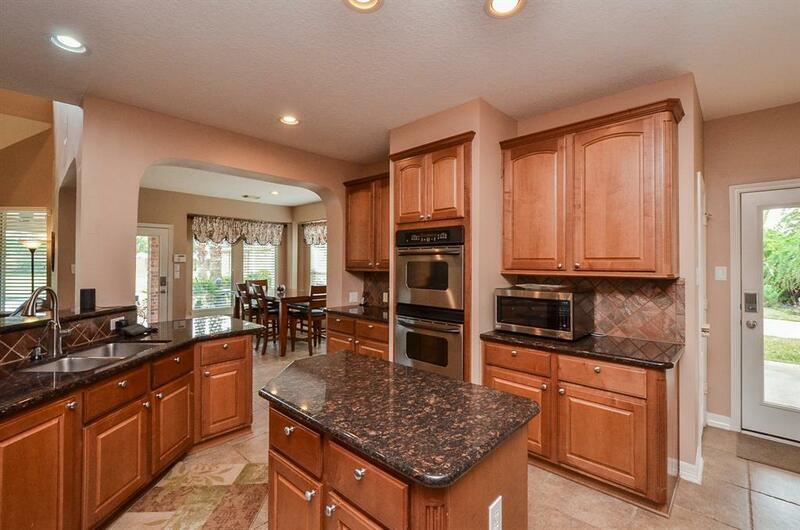 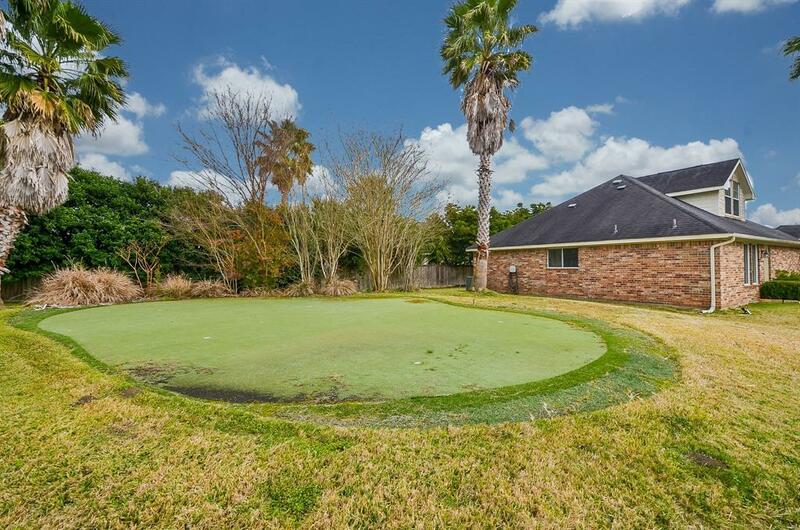 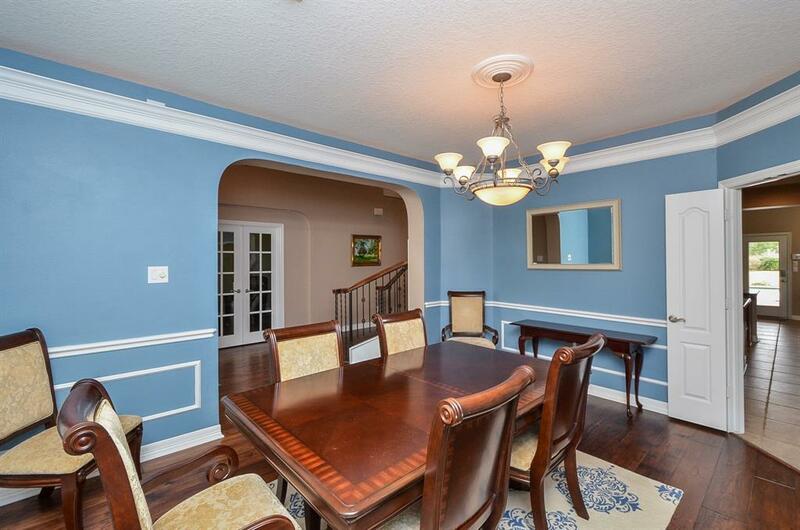 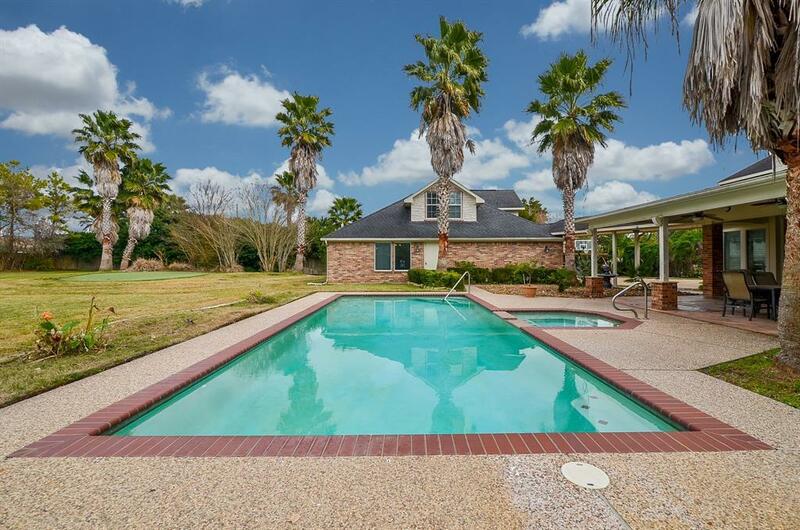 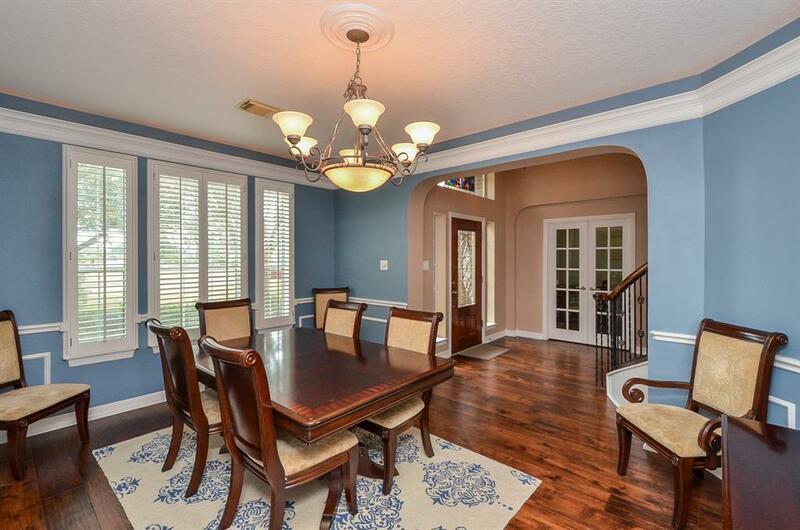 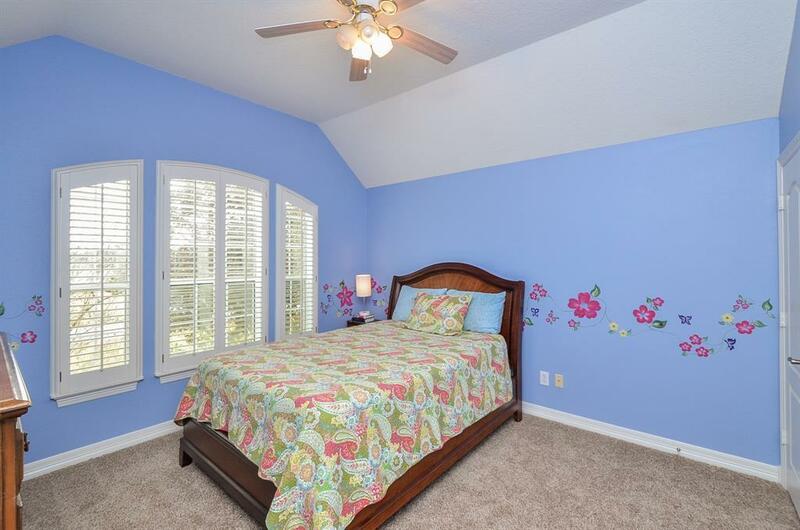 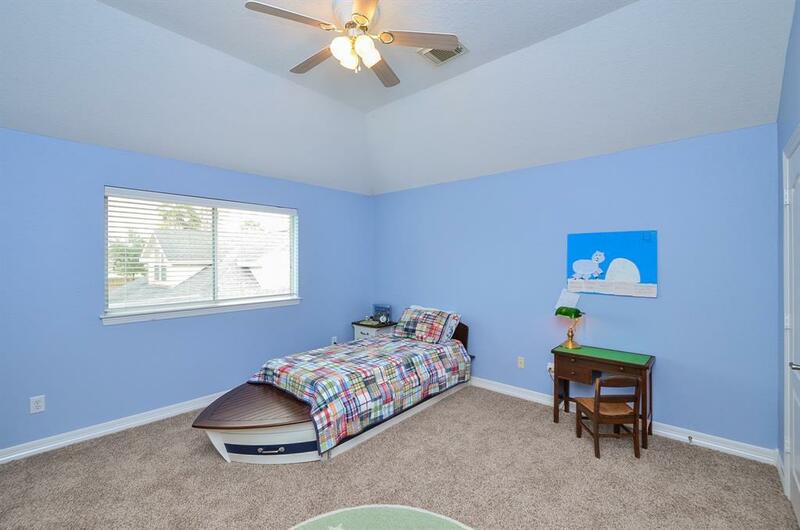 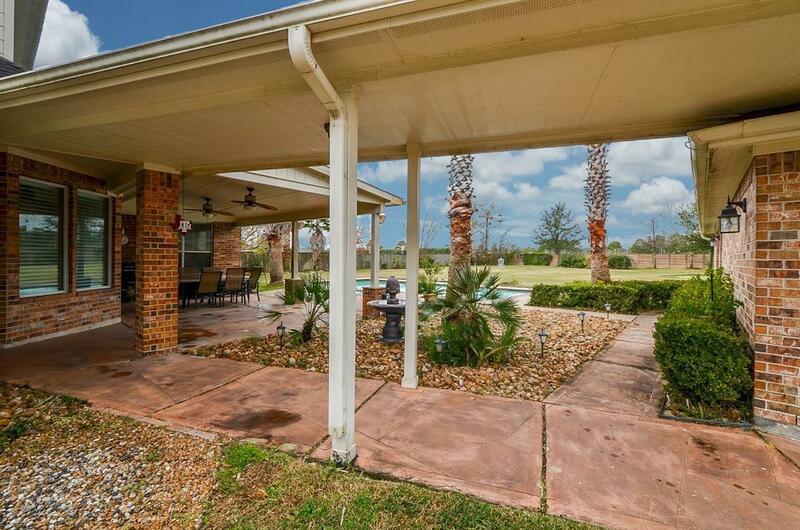 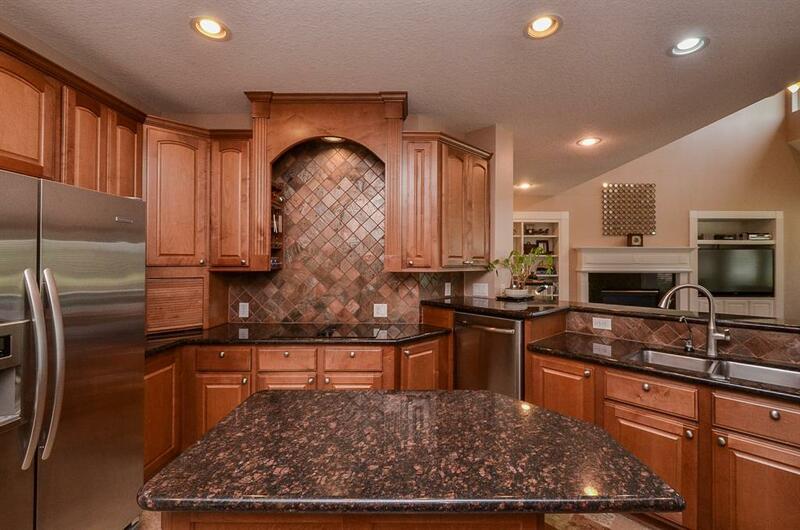 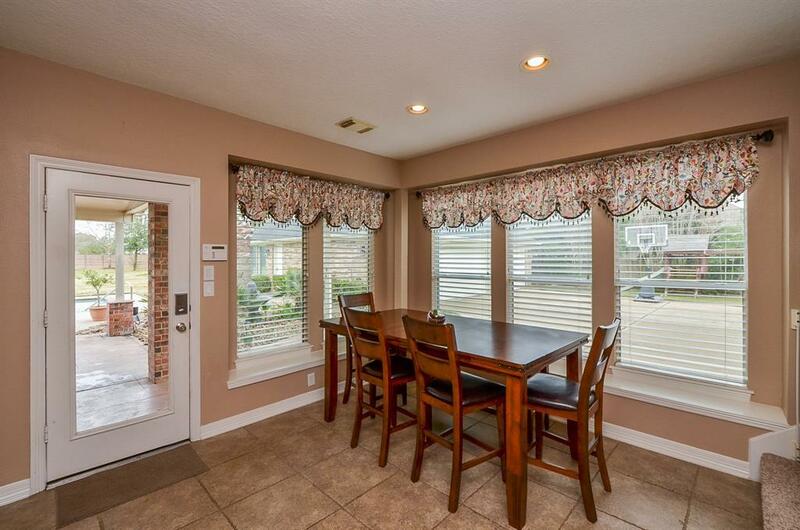 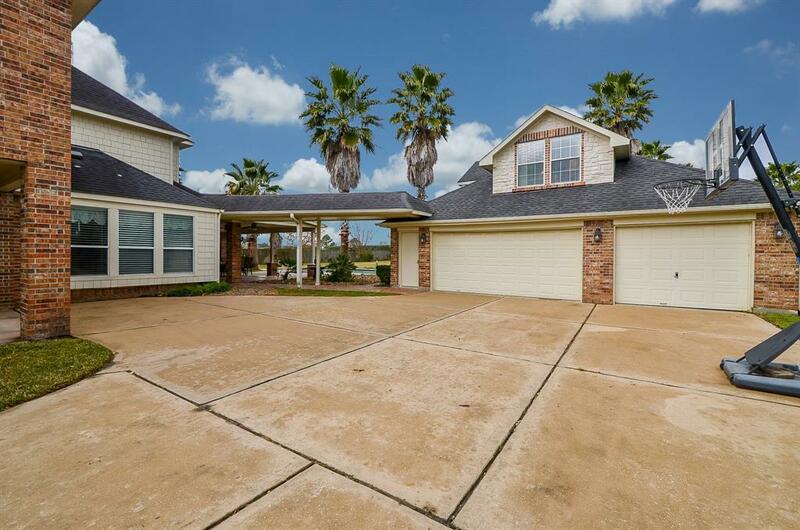 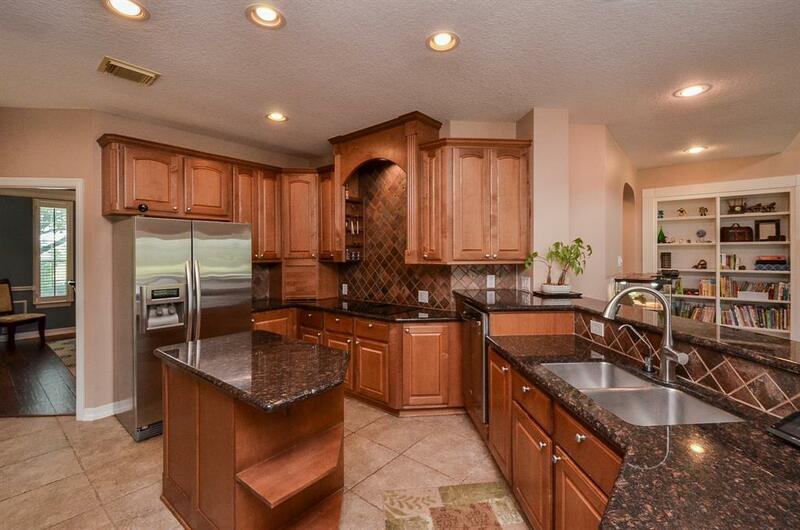 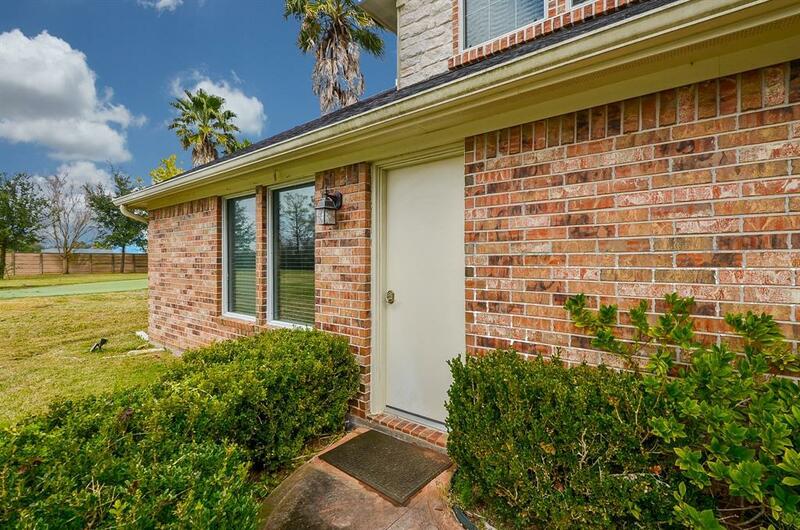 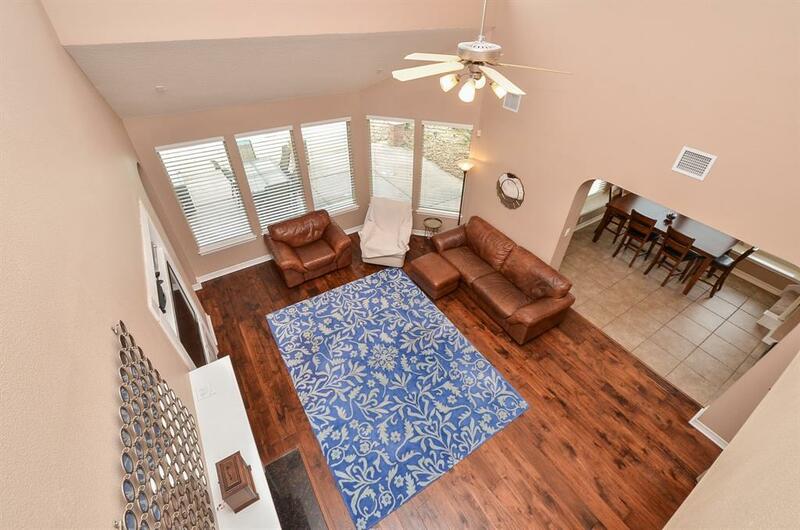 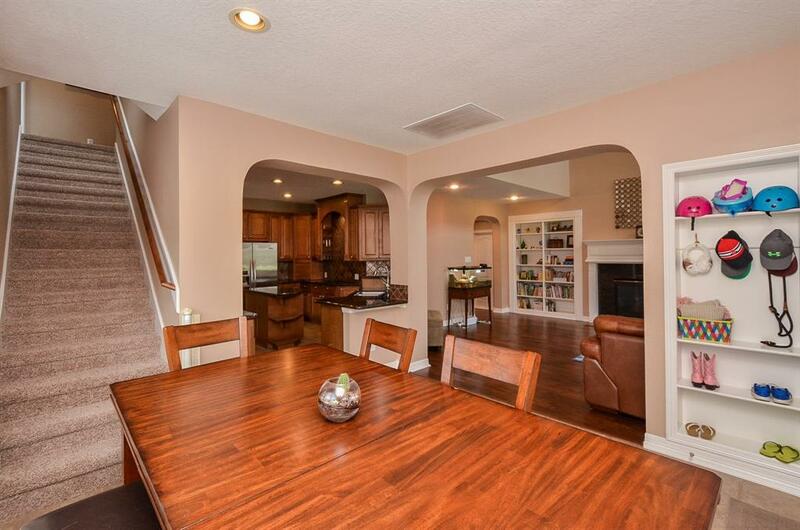 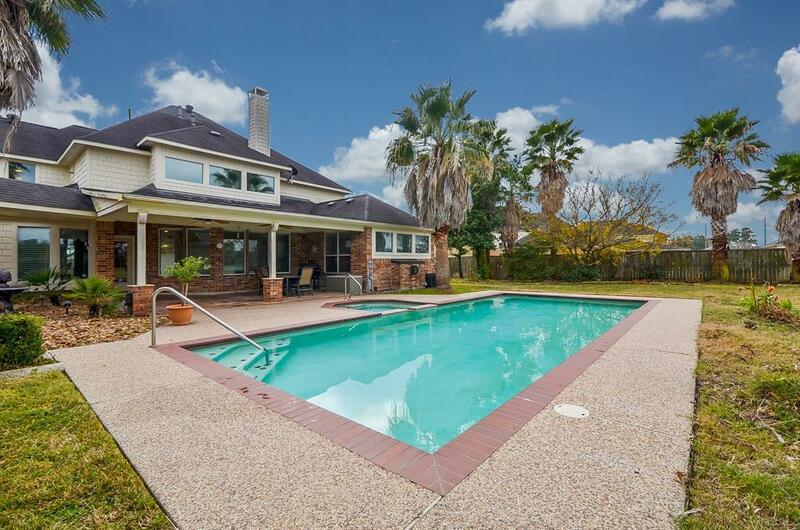 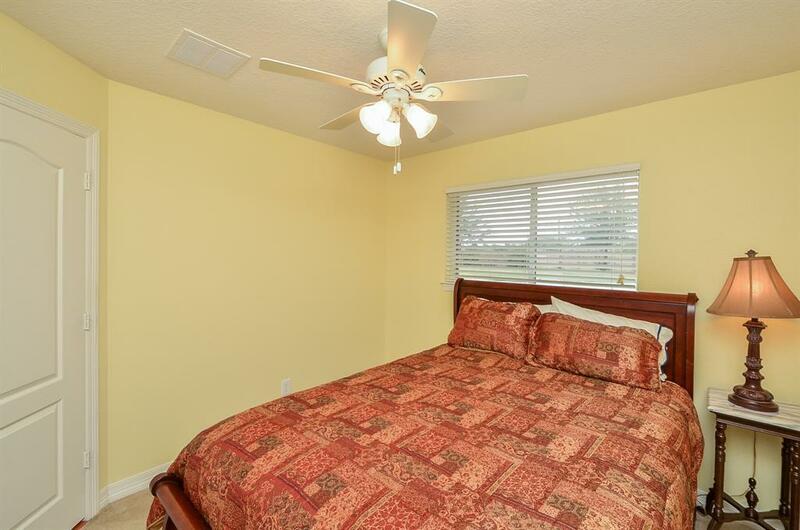 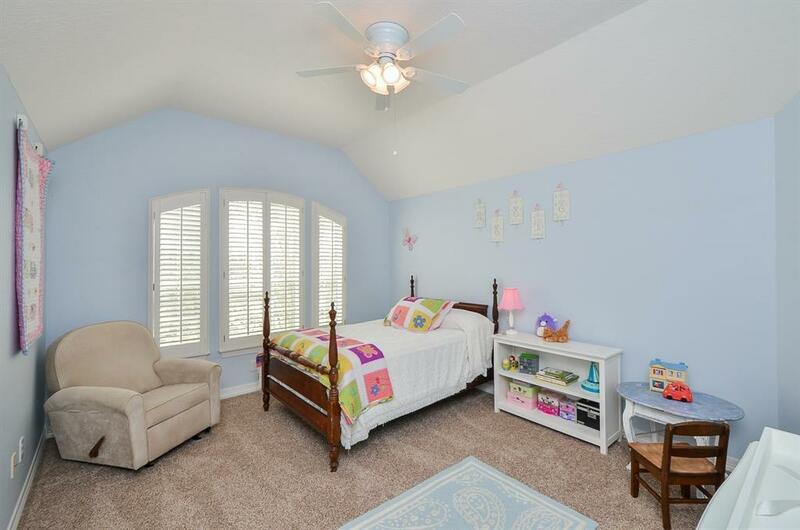 Fully fenced backyard w/ saltwater heated pool /spa, covered patio & putting green. 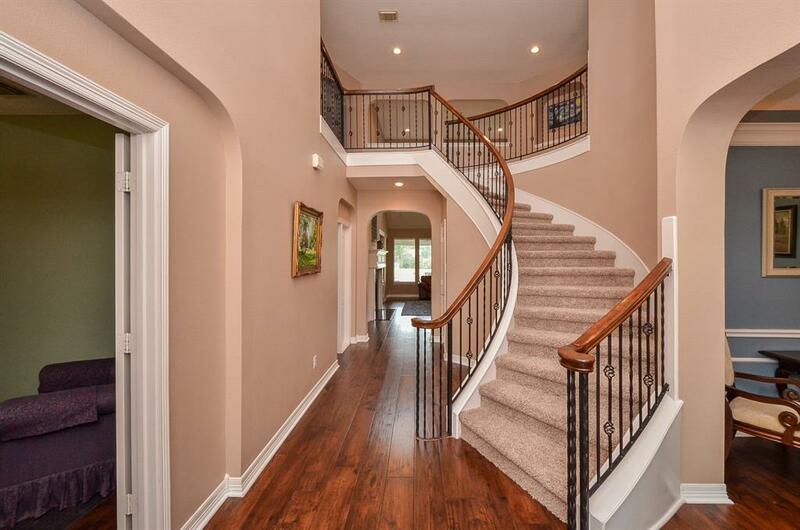 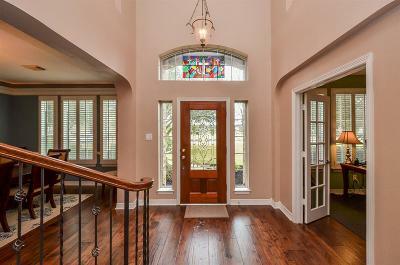 All wood flooring downstairs excluding tile flooring in kitchen & bathrooms. 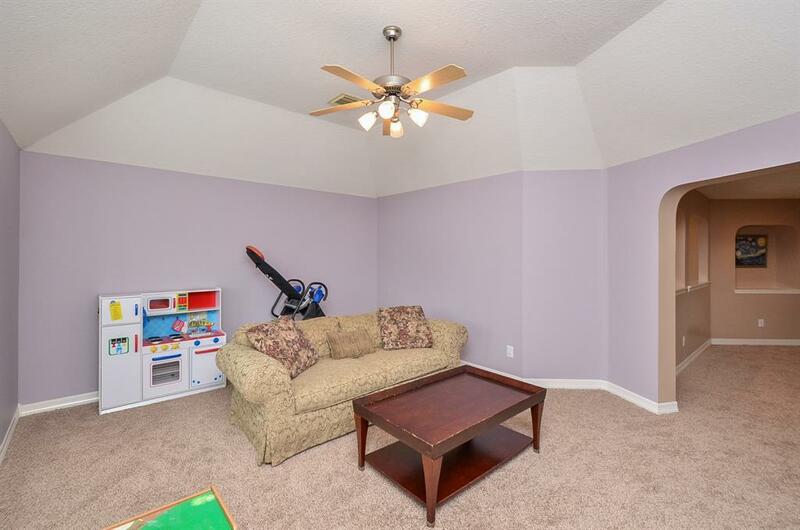 All new carpeting recently installed. 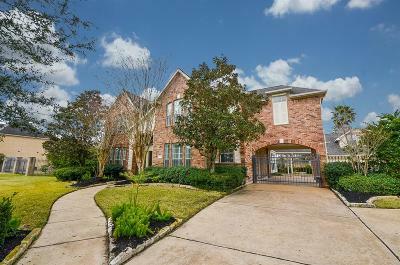 Lg study & formal dining & 2-story den w/gas log fireplace opening to a gourmet island kitchen with granite countertops, stainless steel appliances, honey maple cabinets & electric cook top. 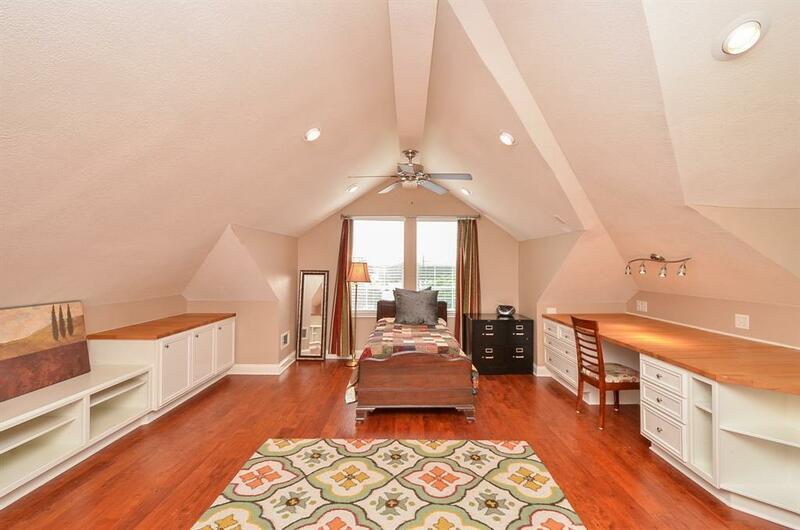 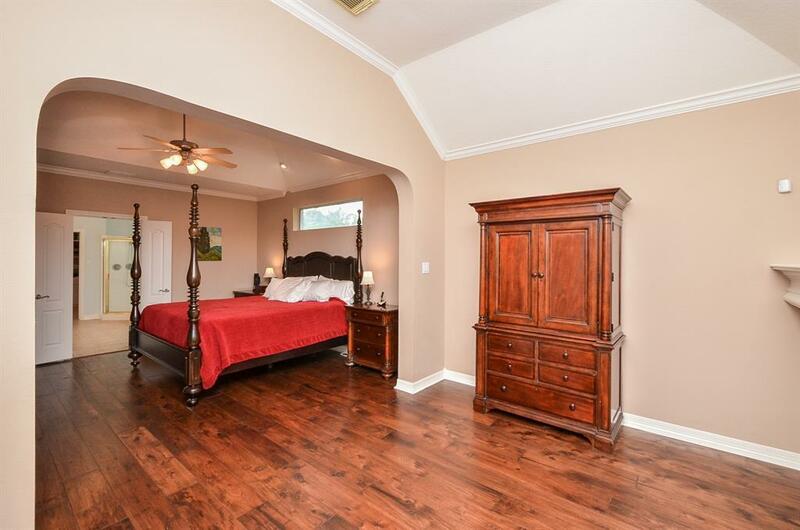 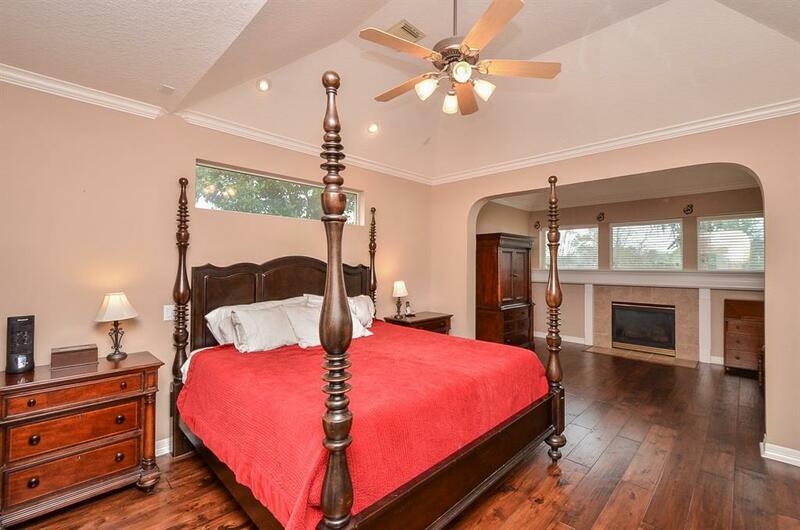 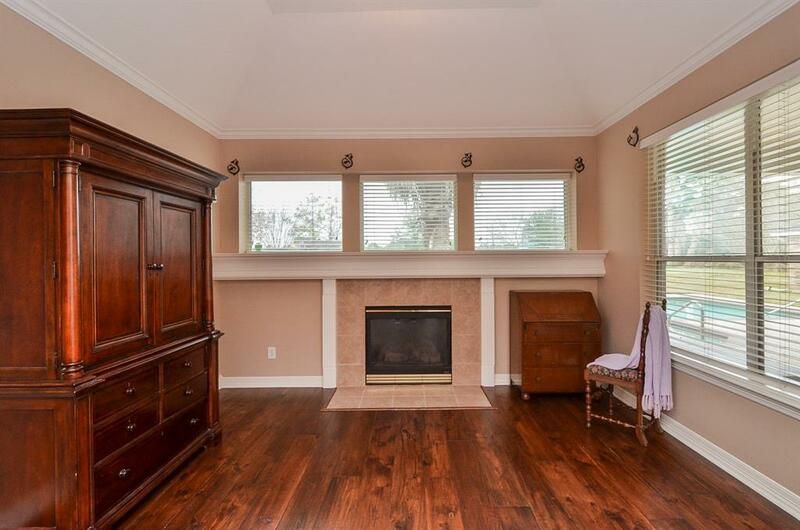 Large master bedroom w/sitting area & gas log fireplace. 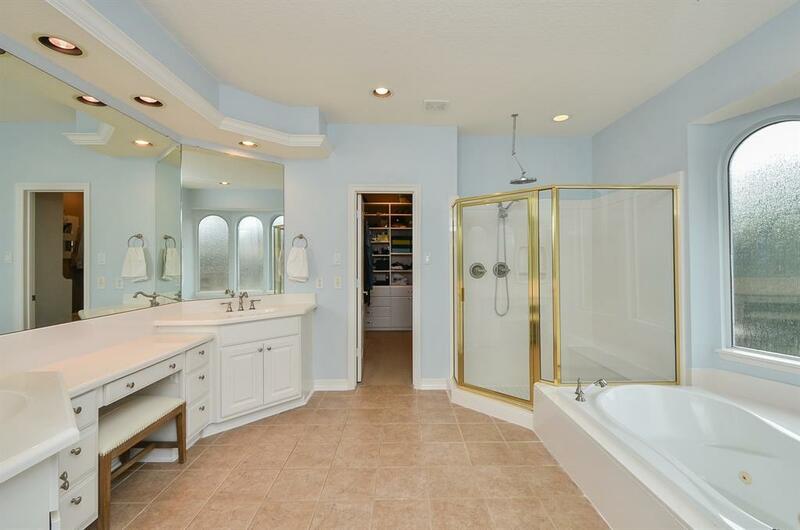 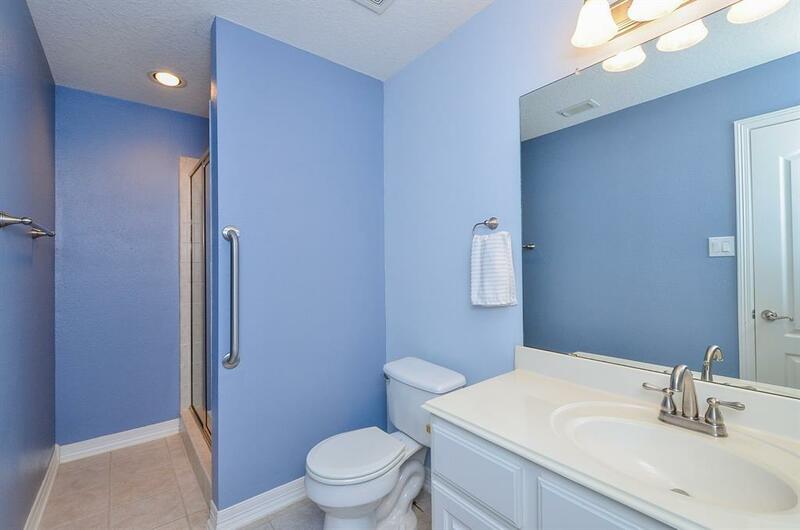 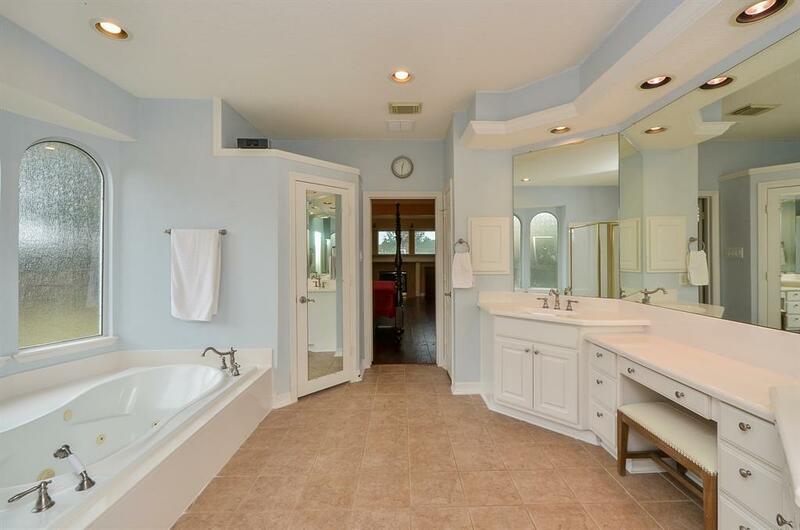 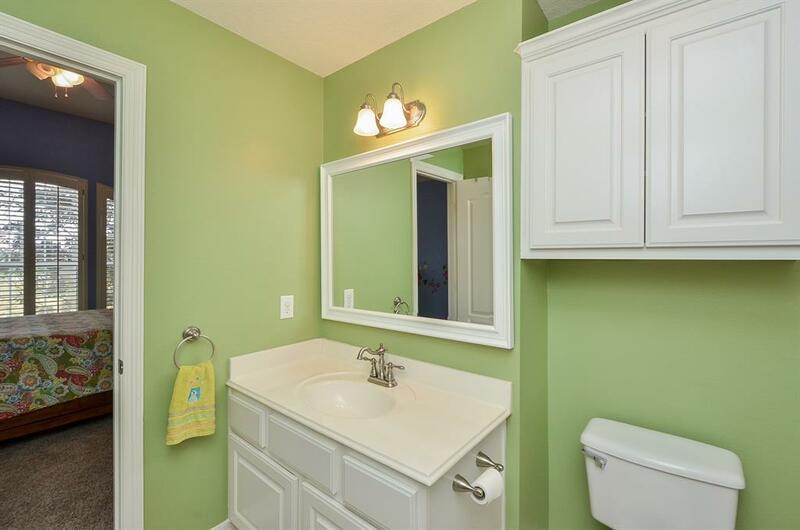 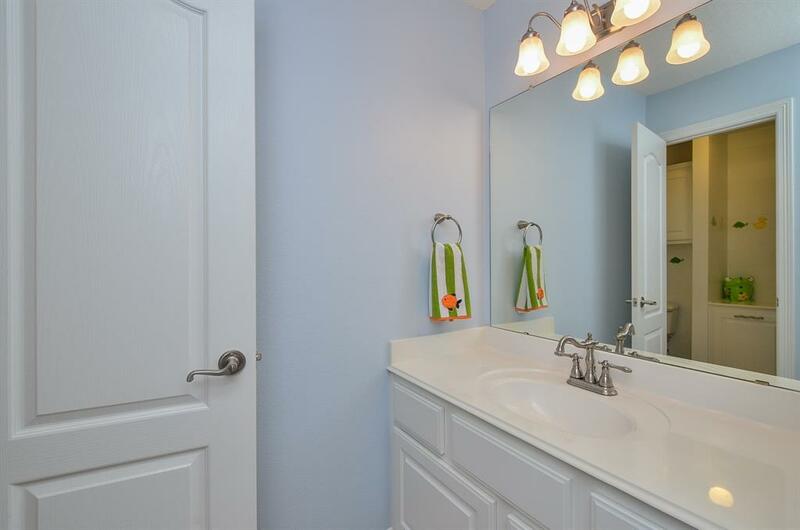 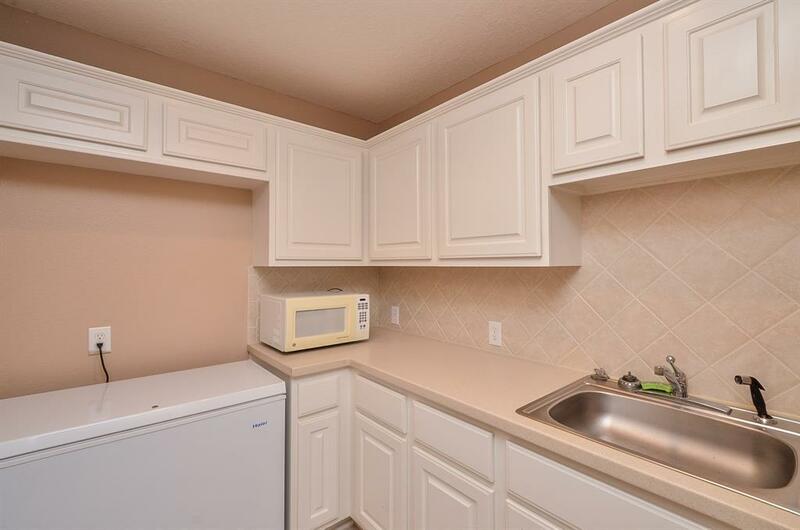 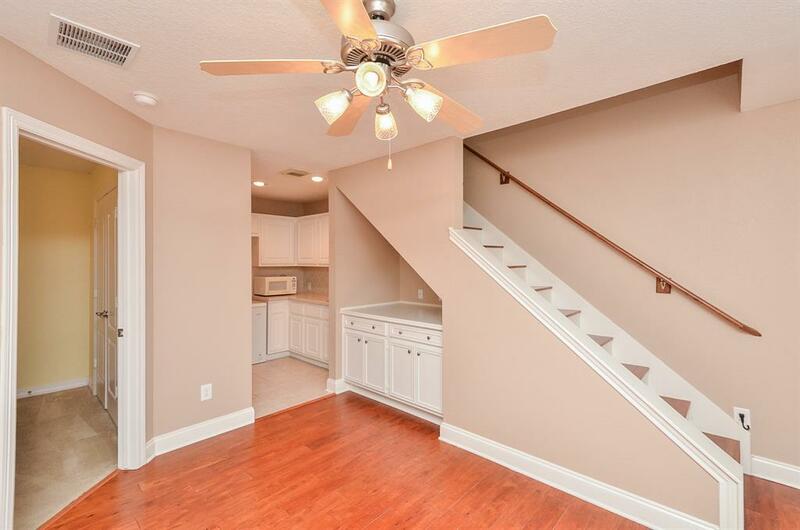 Dual vanities in mstr bath w/jacuzzi tub, separate shower & lg walk in closet. 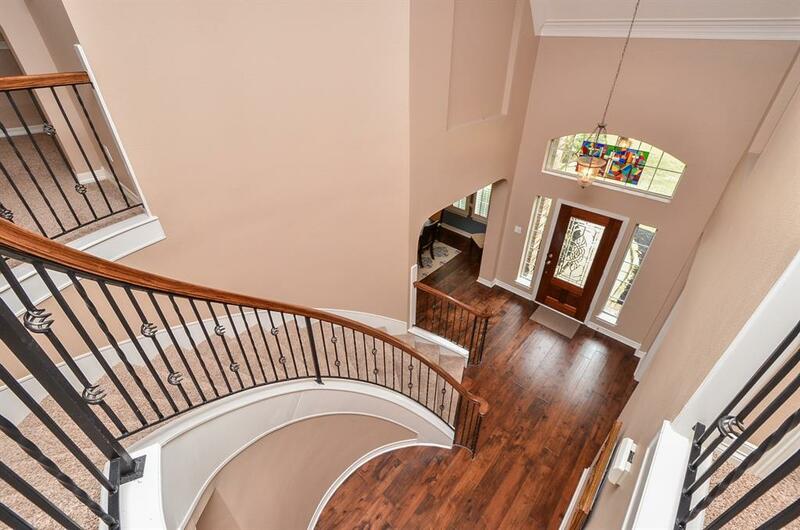 Spiral staircase w/wrought iron railings. 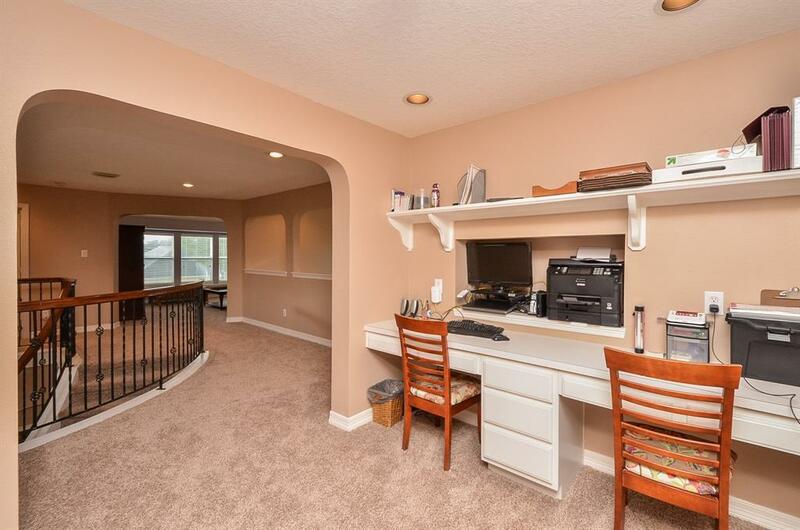 Nice size game rm & computer niche with 3 spacious bedrms and 2 full baths. 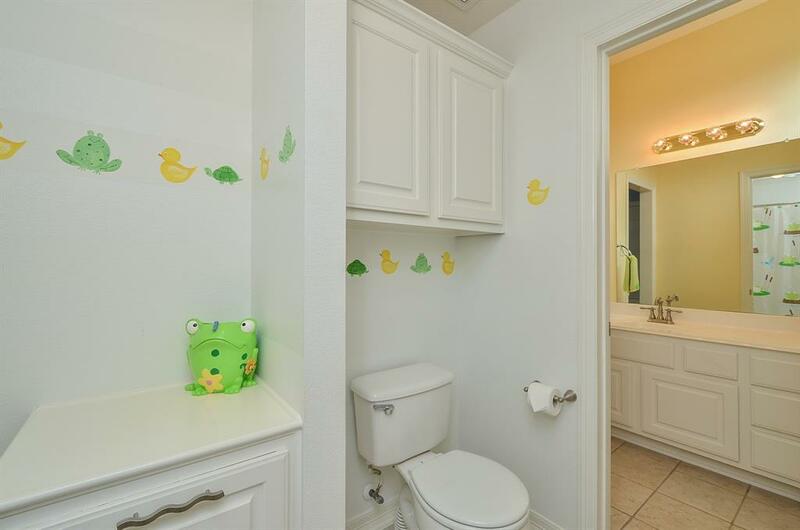 All bedrms have walk in closets. Blinds, plantation shutters and fans through out. 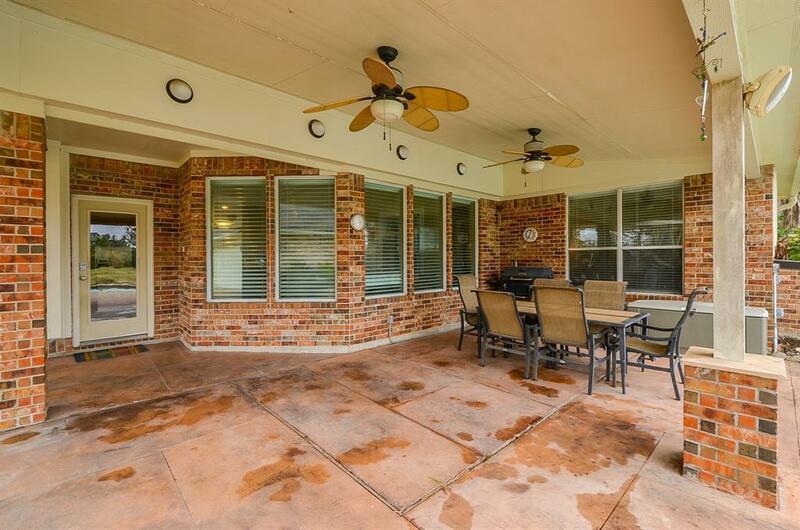 A Porte cochere with remote controlled double security fence along side of circular driveway adds to this well maintained property. Directions: I10w To S On Grand Parkway (99) To R On Bay Hill Blvd To L On Roesner To R Into Lake Pointe Estates To L On Laguna Edge To R On Britton Ridge To R On North Point Pl. 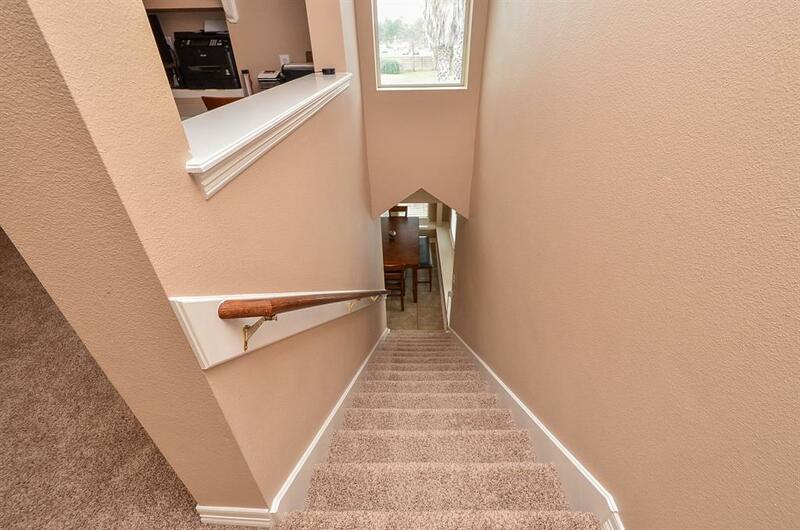 House Will Be On Your Left.